What Are the Top 10 Largest Self Storage Companies in the U.S.? 1.) Public Storage Inc. This California-based company has 2,064 storage facilities in 38 states as well as locations in Europe. The company first opened its doors in 1972, and now it provides 142 million square feet of storage space to its customers. Storage units range from small lockers to 10 x 30 foot units and parking spaces for RV's and boats. In addition to offering storage spaces, it provides some basic moving supplies such as boxes and tape. Each Public Storage facility usually has an auction once a month. 2.) Extra Space Storage. This company's headquarters are in Salt Lake City, Utah. It operates in 35 states, with a total of 882 facilities containing 585,000 units altogether. The company has been in business for more than 30 years. In addition to storage units and lockers, ESS facilities include parking spaces for boats and vehicles. Extra Space Storage maintains a blog on its company website that provides information about the storage industry, including information for auction-hunters. The company's various facilities have auctions on a monthly basis. 3.) U-Haul International Inc. Perhaps better known for its truck rental service, U-Haul is a household name among people looking to move and store their personal belongings. The company's headquarters are located in Phoenix, Arizona, and it maintains 1,144 facilities across the country in all 50 states. In addition to the storage lockers housed on U-Haul premises, the company also stores “U-Pack” containers. These are customer-packed shipping containers that can be stored at the facility. Not every U-Haul location offers storage, but those that do will generally have auctions on a monthly or as-needed basis. 4.) CubeSmart. This company was founded in 2004 in Wayne, Pennsylvania and has already expanded to include 477 storage facilities in 28 states. Altogether, the company owns more than 31 million square feet of storage space across the country. CubeSmart offers different storage options for students, military personnel and more; it also provides vehicle storage and commercial storage spaces for businesses. Units range in size from 5x5' to 10x30'. The company has a storage listing on its website that provides details of upcoming storage auctions at each of its facilities. 5.) Sovran Self Storage Inc. Sovran is also known as Uncle Bob's, and the company has been in business since 1984. The company is based in Buffalo, New York and maintains 451 storage facilities across 26 states. In addition to private and commercial storage, the company also offers truck rentals and vehicle storage. Facilities hold auctions on an as-needed basis. 6.) Derrel's Mini Storage Inc. This company is based in Fresno, California, where it was founded in 1963. It is a major self-storage company in California, with 53 locations between Bakersfield and Sacramento. There are no facilities currently operating outside of California, but the company does have plans to expand. The company handles all of its auctions through Whittemore Auction Service, and details about upcoming auctions can be found on the auctioneer's website. 7.) Strategic Capital Holdings LLC. More commonly known as Smart Stop Self-Storage, this company has 120 facilities in 17 states. It was founded in 2004 and is now actively expanding throughout the U.S. and Canada; it is aggressively seeking more property to acquire as it grows its business. The company offers both personal and commercial storage as well as vehicle storage. The Smart Stop website offers a listing of all upcoming storage auctions for its facilities, updated on a weekly basis. 8.) Storage Mart. Based in Columbia, Maryland, Storage Mart has 132 facilities in 15 states. It is currently working on spreading and growing its business. Storage Mart has been in business since 1974 and is an active participant in local communities and charitable causes in every state it does business in, including offering a scholarship program for students. Auctions occur on an as-needed basis and are published in local media. 9.) Simply Self Storage. This company is headquartered in Orlando, Florida, and has facilities in 16 states. Overall, there are 116 facilities owned by this company, and an additional 20 properties have recently been purchased for expansion. Storage units vary from 5x5' to 10x30', and vehicle storage spaces are available for cars, RV's and boats as well. The company's website does provide auction information for its facilities. 10.) Platinum Storage Group. Located in Laguna Hills, California, this business manages 106 facilities in 15 states. It's more commonly known by its trademark name, Storage Direct, and has been in business since 2000. In addition to both climate-controlled and non-climate-controlled storage for individuals and businesses, it also offers covered and uncovered vehicle storage. Storage Direct holds auctions at local facilities monthly or on an as-needed basis. As you get more familiar with the storage facilities in your area, experience will teach you which are the most valuable. Until then, this list can help guide you toward the biggest and best storage companies in the country. Want to know the odds of winning the lottery? It’s 175 million to one. Sigh. Odds of death by shark attack half that. Okay, let’s stay away from shark infested water. Here are a few true accounts of auction hunters who found real treasure inside their storage units. Storage auction bidder found a handkerchief inside a box. Carefully wrapped inside the handkerchief were 10 bars of pure gold. Each piece weighed one ounce and lot sold for $6,500. Another auction hunter found a safe. Most safes are empty but this one had gold, silver, diamonds, pearls, cash, and the lot sold for $9,500. Imagine finding $62,000 in cash inside your storage unit. News agencies everywhere reported a colossal treasure find termed as the “Pirate’s Booty.” Californian auction hunter found 1,700 coins as well as a few gold and silver bars inside a Rubbermaid container. The coins appraised by an expert as "Pieces of Eight" dating back 200 years. To get an idea of how much bullion was found, the Rubbermaid container weighed 250 pounds. Literally took three men to move the container out of the unit. Pirate Booty valued at $500,000! I know what you’re thinking. The odds of you finding rare treasure are slim to none. Truth is, auction hunters find items valued at hundreds of thousands of dollars each year. Not every treasure find makes the news or is reported. Unfortunately, the mega lottery treasures inside storage units are uncovered by law enforcement too. Feds found $1 Million in cash linked to a sham charity operation in Florida. Feds confiscated $1.5 Million in silver bars, silver and gold coins, as well as $75,000 in cash at a storage unit related to a drug arrest. That’s the sixty-four-thousand-dollar question. Each region of the USA has a different supply and demand. Warmer climates you will sell swim toys, water sports gear and other outdoor equipment faster than you would in colder climates. Where you live dictates what is sellable. But maybe you are not seeing the picture clearly, even after having bought several storage units. What can you do to help you understand what’s hot in the market? Keep a logbook of your inventory. If you are not computer savvy, you may find a logbook at your local office supply store or drugstore. Spreadsheets however for those who are computer savvy can keep an accurate account of every item for sale and when it’s sold. I was just getting to that. It’s all about “trends.” Amazon keeps a 100 best seller’s list which allows us to see what is hot right now. However, a few weeks from now that hot item may no longer make the list. People are fickle when they impulse buy. Your merchandise may either fill a need or a want. If it’s a need, you may see these items sell quickly such as kitchenware. If it’s a want such as a vintage camera, it may take weeks or months before you see a return on that item. By keeping a logbook you will actually see what’s currently trending in your area and online and will assist you in choosing the storage units that will help you flip your items quickly into a profit. Let’s say you see a unit with several bicycles, but they’re not selling in your area. Bid smart by not bidding. It’s clear that the current trend is girl’s clothing. By keeping a log of merchandise this maximizes how to build your inventory for profit. Mind you, I more than understand many storage units up for auction contain unlabelled boxes and plastic containers. It’s a guessing game. The logbook or spreadsheet however is still meant as a guide to a profit state of mind when buying storage units. Remember, trends change like the wind so keep an accurate record of what sells and when. If you know the hot trends in your area or on the Internet you’ll know which storage units to bid up and which ones to let go. Please leave your creative opinions in the box comment below. How Can I Find Shipping Container Auctions in Dallas, Texas? If you've caught the new show Container Wars on TruTV, you may be wondering how these container auctions work and whether you can get in on the action in your area. Although the show takes place in a commercial ship yard, similar types of auctions may occur in any area where items are shipped, stored and abandoned. Even if you live in a land-locked city like Dallas, you can still find certain kinds of shipping container auctions in Texas. 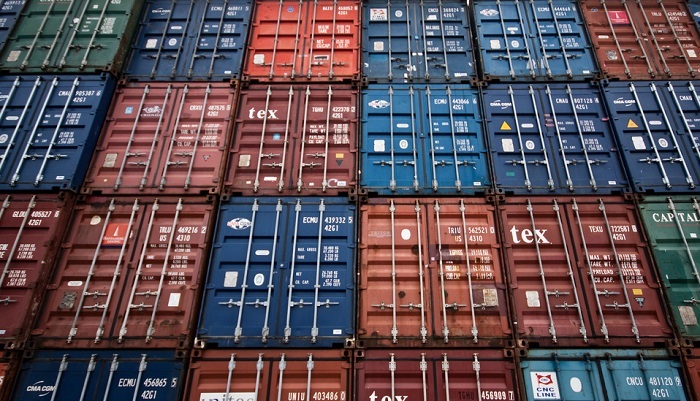 Shipping container auctions take place when a shipping or cargo container is left unclaimed. Once these containers reach their destinations, they are unloaded and stored for a predetermined amount of time before going up for auction. The proceeds of an unclaimed container go toward reimbursement for the shipping costs and other associated expenses, like duties on international goods. The shipping container auctions Dallas auction-goers can find will generally be for ground-shipping cargo containers. These are sometimes used for commercial purposes, but they are more commonly used by private parties as a way to ship items from one location to another as part of a move. In many cases, the cargo companies work closely with storage units, and many cargo containers are placed in storage after arriving at their destinations. This means that some shipping container auctions Texas auctioneers host will actually occur at storage facilities. If you're a regular at storage auctions in your area, you may be able to find shipping container auctions as well just by attending auctions and talking to the auctioneer or facility owner. You can also check the Dallas auction calendar for your favorite auctioneer to see whether any auctions are scheduled in the future. The best way to find out about upcoming auctions is to network with fellow auction hunters. You can also check an online listing service for your area for a Dallas auction calendar. If you're in the Dallas area, you can use our service to locate storage and shipping container auctions in Dallas, Fort Worth and other major Texas cities. Dave Hester the real life villain character from Storage Wars filed a lawsuit against A&E Network back in December. His claim was that the show’s producers would “salt” the storage units, which was in direct violation of the Communications Act of 1934. Did he win? Los Angeles Superior Court Judge Michael Johnson threw out Hester's claim of Unfair Business Practices. First round win goes to A&E. Dave Hester’s arrest for DUI back in 2005 may have hurt in his credibility. Not only was he arrested but also convicted and sentenced to 30 days community service at a Goodwill Store. But maybe that didn’t come into play in the lawsuit, however as a self-appointed whistle blower, Dave Hester’s record is not clean as a whistle. To get a better understanding of this lawsuit saga watch the movie Quiz Show starring Ralph Fiennes. Back in the 1950s a scandal erupted around quiz shows alleging that the contestants were given assistance by the show's producers to arrange the outcome of a supposedly fair competition. Guess what? Back then it was true. Congress then passed a law prohibiting the fixing of quiz shows and any other form of contests. Superior Court Judge Michael Johnson however found Dave Hester’s claims against A&E unpersuasive. Storage Wars is not a contest driven show. Hester was unable to prove the show was rigged. Do you think there will be a better “bad guy” than Dave on that show? Hester will pursue his claim against A&E for breach of contract and breach of the implied covenant of good faith and fair dealings. Do you think Dave believes he has a shot to win the second round against the network? You’re heard of swap meets. What about food swaps? Desperate times in Greece, Spain and other parts of the world rekindled the bartering system. Greece once enjoyed high tourism, economic growth, early retirement and prosperity. Financial collapse of global markets hit the Greeks hard. Many cannot buy food for their families as prices for food skyrocketed. The Greek government stepped in to allow grocery retailers to sell expired food at discounted prices. Those who cannot afford to buy reverted to the ancient barter system for survival. In Volus, Greece an organization named TEM exchanges goods and services such as, baby-sitting, computer assistance, and home-cooked meals to receive discounts at local businesses. It is part alternative currency, part barter system, and part open-air market, whichever a person can do to get through these harsh economic times. About 1,300 people have signed up to the informal bartering network and it’s still growing today. Spaniards barter goods such as books or furniture in exchange for fresh produce at swap markets and these types of barter markets are spreading in every neighborhood throughout the country. In Zimbabwe they bartered for doctor visits and medicines with chickens, goats, maize and even sacks of peanuts. Food has become the most sought after commodity around many parts of the world. What was once taken for granted has now been stripped away in which only the rich can afford with ease. Last February (2013) in Athens, Greece a brawl broke out among hundreds of Greeks during a free food giveaway to help the improvised. Not enough food for those who starve. The world is in a world of hurt. Mark Balelo – sometimes known on the show as “Rico Suave”– was found dead on Monday, two days after being arrested on suspicion of drug possession. Fans knew him as a flamboyant, deep-pocketed buyer who appeared on several episodes during seasons two and three of Storage Wars. He made a name for himself on the show for bringing large amounts of cash to auctions and buying units out from under seasoned bidders on the show. He was the owner of Balelo Inc., a company that bought and liquidated the contents of storage units in addition to other merchandise. The company employs over 50 people at several branches and offers services like “auctions, liquidations, reburbishing and repair, manufacturing, wholesale, retail, closeouts and distribution” according to his self-written biography on A&E's website. He was also well-known for his role in returning a $1 million stolen comic to movie star Nicholas Cage after it resurfaced in a storage auction a decade after its theft. Balelo had received drug charges once before in 2009. He pled guilty to the charge of “sale or transport of a controlled substance” and spent 60 days in jail in addition to a three year parole. On Saturday, February 9, Balelo was arrested at his workplace for being under the influence of drugs and having possession of methamphetamine. His court date was scheduled for the 19th. Sources say that Balelo was distraught after the arrest. His body was found on Monday morning in his vehicle, which had been left running in a garage at his Simi Valley home. He was pronounced dead at the scene. According to the autopsy report released by the Ventura County Coroner's Office, Balelo's death has been ruled a suicide. He was 40 years old. SealedOnlineBids.com has recently merged with StorageBattles.com and will continue doing business under the latter's name. Altogether, these two sites have over 25,000 registered bidders and cover auctions for 1,000 different facilities. StorageBattles holds virtual storage auctions. Rather than holding a live auction, storage facilities can list their units online with photos or videos. Bidders then find and bid on units in an eBay-style auction, and can retrieve the items after the sale. This is understandably an appealing option for storage facilities, which may not wish to deal with the mess and liability of crowded auctions, but these sales aren't without problems of their own. We've talked in the past about whether these online storage auctions are legal. In case you missed it, here's the issue: In some states, property law wording regarding storage auctions is vague. In others, like Texas, it's pretty clear where and how auctions are supposed to occur. By legal definition, the Internet cannot qualify as a “public place” since it's not a physical location. At present, StorageBattles seems confident that there will be no legal ramifications from holding these virtual auctions. All the same, we won't know whether their defense would hold up in court until after a lawsuit has occurred. In the meanwhile, one thing is clear: This merger made good sense for StorageBattles. Assuming that the legality of online auctions gets cleared up, it's reasonable to guess that they'll become the wave of the future when it comes to storage auctions. Buying out SealedOnlineBids – their largest competitor – before these auctions really catch on is a smart move. 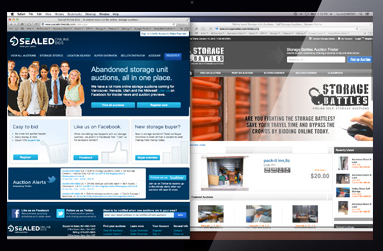 Update April 10th, 2014 - A new competitor, OnlineStorageAuctions.com has entered the online storage auction marketplace. This new site is completely free and offers storage facilities that are located in states where online storage auctions are questionable a legal alternative to online only storage auctions. When most people consider the storage auction industry, they're approaching it as a way to make money by reselling the items found inside. It's certainly possible to make a decent profit on items found in a storage unit; However, there's another option for your findings that may make more sense for casual bidders: Using the second-hand furnishings and other items for yourself. When you're looking at a storage unit as a possible way to furnish your home, you have a bit more flexibility than you would while bidding for resale. You only have to worry about finding items you like and would use at a price lower than retail rather than considering profit margins. Since most storage units are filled with regular household items, shopping at a storage auction is a logical first step for people moving into new homes. If you were planning to buy items second-hand anyway, you may be able to get then much cheaper from the storage auction than if you bought each piece separately from Craigslist or a thrift store. Some items, like treadmills, couches and refrigerators, are easy to find in storage units, and bidders may be unwilling to pay much for them due to their bulkiness and difficulty of storing them so costs will stay low. Pay attention to the cleanliness and organization of the unit. You may not be able to check the furniture for stains or damage, but you can get a general idea of how well the original owner may have maintained his possessions by looking at the unit itself. Items neatly stacked in boxes show a different picture than those strewn about or gathered in trash bags. Think about what you're looking for in advance, but be flexible. Keep an eye out for specific styles or items that catch your eye, but be willing to budge if you find a good deal. Make sure to craft your budget in advance and stick to it. Look for units that have multiple items in them. The more furniture and appliances you can get in a single unit, the better your odds of furnishing your house inexpensively. Consider selling the extra items that you don't need. For example, if you buy a unit because of a couch and treadmill, see about selling off any electronics or other items. After selling the merchandise you don't want, you might be surprised how little the unit actually cost you. In some cases, you'll even recover all of the money you spent and get to keep some wonderful stuff for yourself for free. Making a profit at a storage auction is not a guarantee, but keeping the items you want for yourself can definitely save you money. 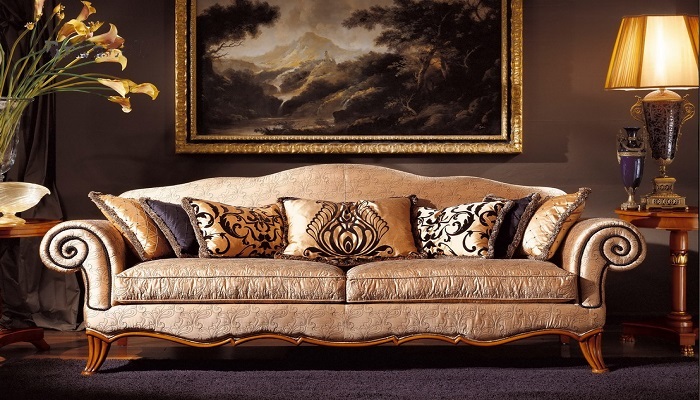 If you're not opposed to filling your home with second-hand furnishings, you can do quite well through auction-hunting. Are Storage Auctions Declining in Popularity Now That People Know the Shows Are Fake? Storage facilities have been experiencing an all-time high in auction attendance in the last few years thanks to the popularity of auction and resale reality shows. Eager treasure-hunters have been showing up in droves to auctions, often looking for huge profits like those shown on TV. Of course, people familiar with the industry know all too well that these treasure-seekers are unlikely to make much profit, and the high bids made by newbies have been damaging the bottom lines of serious buyers across the country. Where auctions would once draw just a handful of well-seasoned veterans, facilities across the country began to see turnouts of dozens or even hundreds of people. Standard bids on units increased many-fold as newbies attempted to cash in on hidden treasures that didn't exist, and hefty auction attendance created logistical nightmares for facility owners and bidders. Indeed, the only people who benefited from the over-priced auctions were the auctioneers themselves. Fortunately, there may be an end in sight to the madness. Thanks to the allegations by Dave Hester about the faked auctions on Storage Wars, more lay-people are learning about the disparity between the reality and fantasy of the storage auction industry. Now that would-be bidders are thinking twice about auction attendance, things may finally start returning to normal for professionals in the industry. Indeed, Hester's allegations have raised plenty of questions about reality television in general. Even if he loses the lawsuit against the network, the publicity given to the suit has led many people and journalists to take a critical look at similar reality shows like American Pickers and Pawn Stars. Although many people in the resale business have expressed doubts about the realism of these programs for years, raising these questions through public media is a huge step toward potentially major changes in both the resale and television industries. It's unlikely that auction hunting will ever return entirely to the “good old days” remembered by some seasoned veterans. Thanks to the Internet, auctions are too accessible to be a truly well-guarded secret, and most people are now aware of the industry whether they participate in it or not. Most likely, the most starry-eyed newbies will drift away while more serious newcomers stick with the industry and begin building careers or lucrative hobbies. Even before the news of Hester's lawsuit broke, some auction hunters began reporting changes in auction attendance. According to discussion on StorageAuctionForums.com, attendance has been on a slow decline. While many auctions still draw deep-pocketed newbies, plenty of others have boasted small turn-outs of regular serious bidders. It's possible that this trend may continue as the industry stabilizes. Things may never be the same as they once were, but the possibility of making a real living from resale without over-inflated bids seems more realistic than it has been in a long time.